Former IYCW chaplain, Reginaldo Andrietta, was ordained as bishop of Jales in Brazil. The ordination took place on 27 December 2015 at St Anthony of Padua Basilica in Americana. 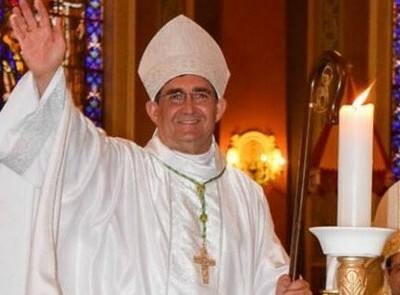 Dom Reginaldo has been parish priest of St Jude’s in Americana. 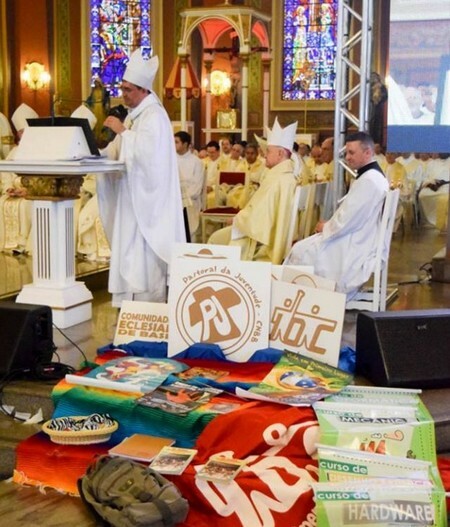 Ten other bishops, over 140 priests and deacons of the Diocese of Limeira and Jales and also from other dioceses, as well as seminarians, religious and family of Don Reginaldo were also present. It is estimated that more than 1,500 people attended the ordination, which mobilized nearly 300 people who collaborated in some way. The celebration was filled with varied cultural expressions that Don Reginaldo experienced during his 32 years of priesthood in mission to the world as indigenous, African and Latin American. He will take possession in Jales Diocese on 311 January 2016 with a celebration scheduled for 9:00 am at Our Lady of Assumption Cathedral.